This is the front runner in the 2016 Tunbridge Wells Half - he's way out ahead at the 12 mile mark, and he was out in the front at the start. Who is this bearded superhero aka Clark Kent? I eagerly await the results page to find out!! 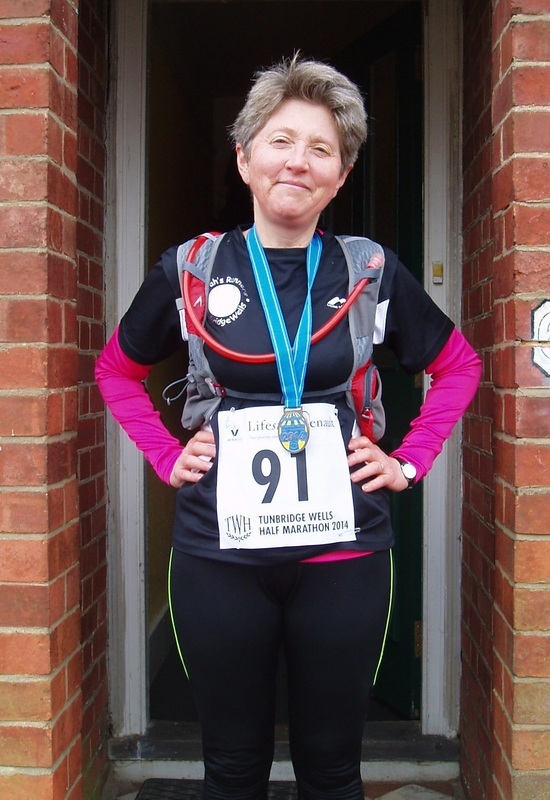 I ran the Half Marathon for the second time this year and was really pleased to knock a few minutes off last year's time - new PB of 2.34.50 - yay! 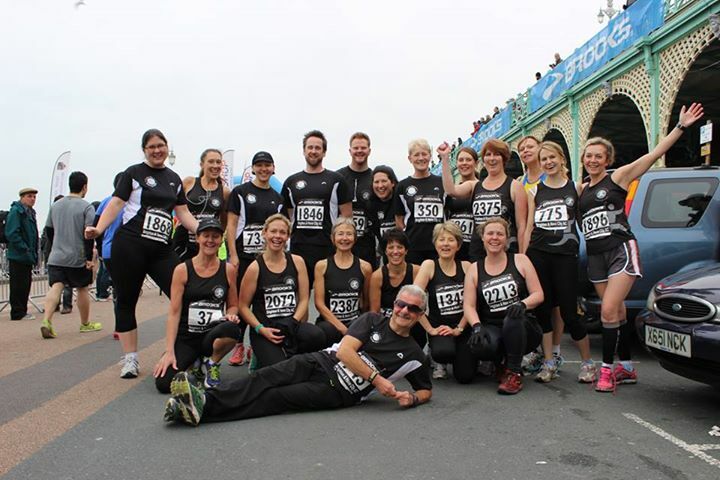 Ran the Brighton 10k for the first time with the pals from Sarah's Runners - lots of us improved our PBs - got mine down 4 minutes to 01:04:06, but then it was flat! 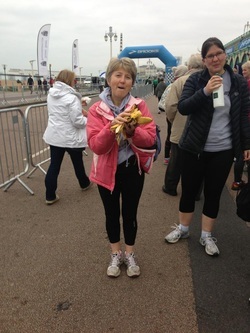 Plus we ate a lot of bananas before we started!! 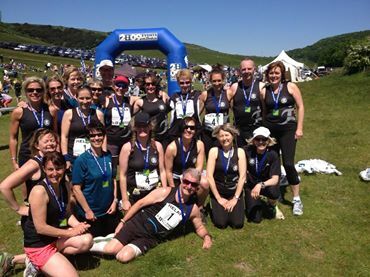 We had a ball when five teams from Sarah's Runners took part in the South Downs Marathon Relay in June 2013. 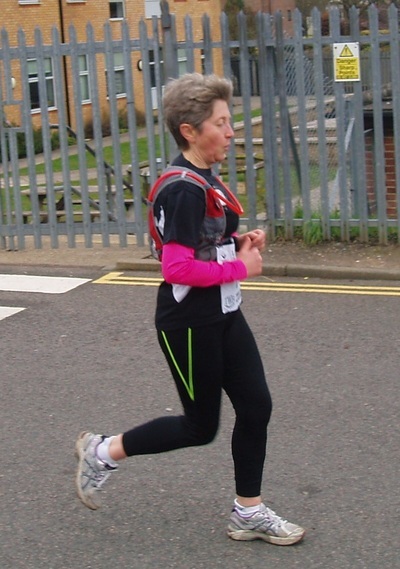 Pictured above is Sarah herself crossing the line at the end of the 3rd leg - a killer leg according to a lot of the runners! Below is a clip of the runners at the start, and one of Janet, another of Sarah's Runners, also finishing the 3rd leg. For some pics of canine spectators, see here. 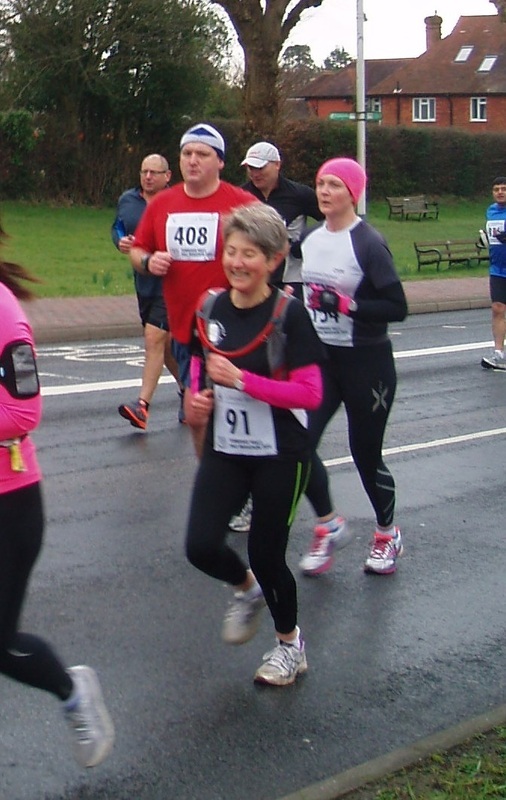 Sarah's Runners relay teams - that's me kneeling at front 2nd from right!